(February 27, 2017) The Parent Teacher Student Association (PTSA) for Palisades Park Elementary School (PPES) will be hosting its Third Annual Golf Tournament & Fundraiser. This year the event will include a Casino Night & Auction on March 18 and Golf Tournament on April 28th, both located at the Palisades Country Club. 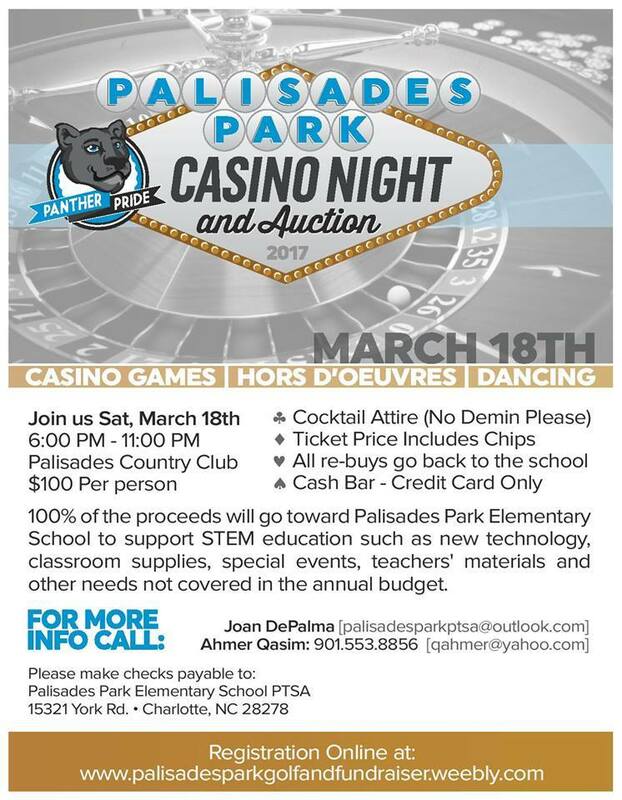 Please go online HERE to purchase tickets for the Palisades Park Casino Night Fundraiser or to register for the Palisades Park Golf Tournament.